Comparative Negligence in Iowa Personal Injury Cases | Hupy and Abraham, S.C.
Can I still recover damages if I was partly at fault for my personal injury accident? The answer to your question depends on two things. First, you must have suffered an injury in a personal injury incident. Second, you must not have been the one who was primarily responsible for the incident that resulted in your injuries. In other words, someone else (or a group of people) must bear the primary responsibility for the accident and your resulting injuries. Your personal injury case may proceed—and you may recover damages—unless you bear a greater percentage of fault then the defendant(s). 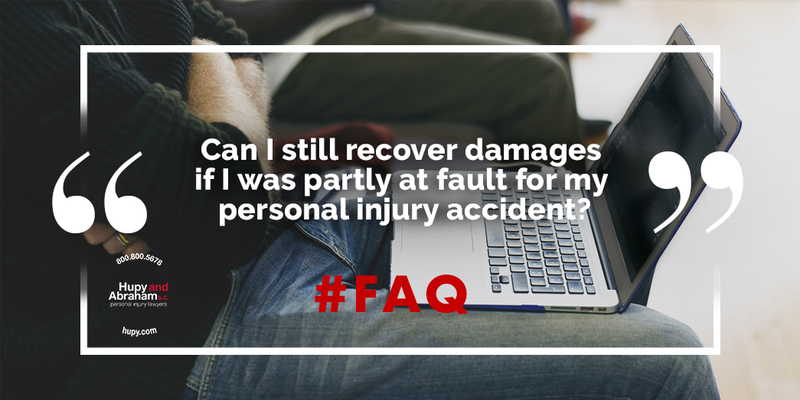 Any damages that you recover will be reduced by the percentage of fault attributable to you. This percentage may be decided during settlement negotiations with the insurance company or it may be decided by the court. For example, if you are found to be 15% at fault for the incident that led to your injury, then your recovery will be reduced by 15%. The law seeks to make your recovery fair for you and for the defendant who should not have to pay for your own negligence. You can expect that the percentage of fault will be hotly contested during settlement negotiations or in court. The defendants will want to maximize the percentage of fault attributable to you so that their own liability is minimized and so that they have to pay you less in a settlement or court verdict. A thorough investigation, reliable evidence, and strong advocacy skills can result in a fairly negotiated settlement or an accurate court verdict. An experienced personal injury lawyer can help you with all of these things. To learn more about how a personal injury case works in Iowa, please contact us online or call us directly at 800.800.5678 to schedule your own free, no-obligation consultation with us.